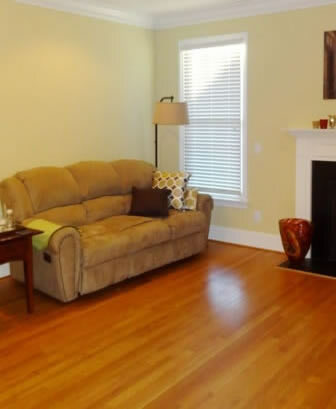 Our pair of chairs and designer furniture transformed this living room! Our custom sofa, chairs, and cocktail ottoman are "amazingly comfortable," per the homeowner. Notice our original colorful art and pillows, which bring in their favorite color, red! 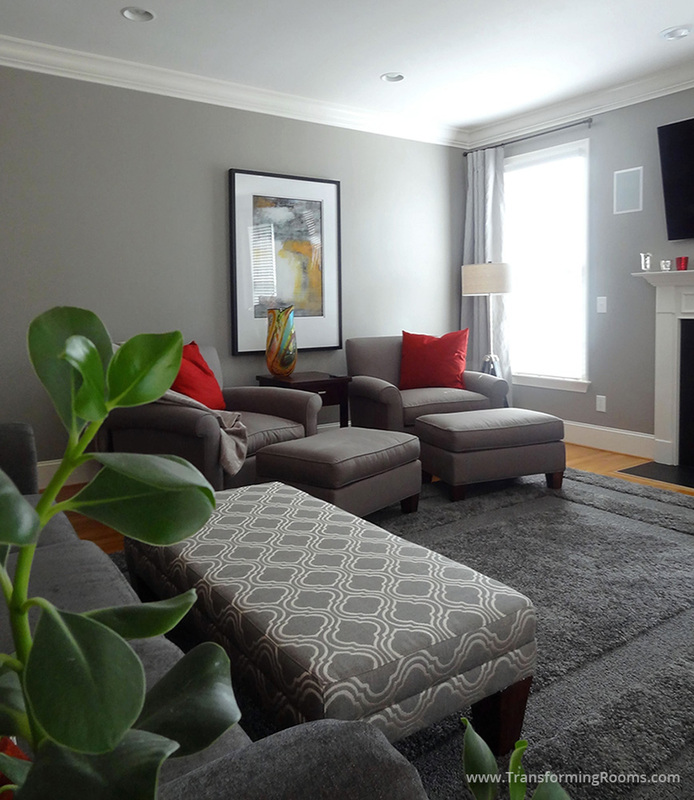 We painted the walls gray, and provided this beautiful gray rug. We are a one stop source, to make it easy to do a room make over.